Executive Producer Jeff Davis and cast-members Tyler Posey, Dylan O’Brien, Holland Roden, and more discussed all things Teen Wolf during their SDCC 2015 panel. Get a recap of the highlights and teasers, including 50+ exclusive photos. Happy Moonday fellow Teen Wolf fans! We’re well into Season 5, and with episode 5 “A Novel Approach” debuting tonight (1o:00pm ET|PT on MTV), I can’t think of a better time to recap all the goodness we learned during the Teen Wolf SDCC 2015 panel! 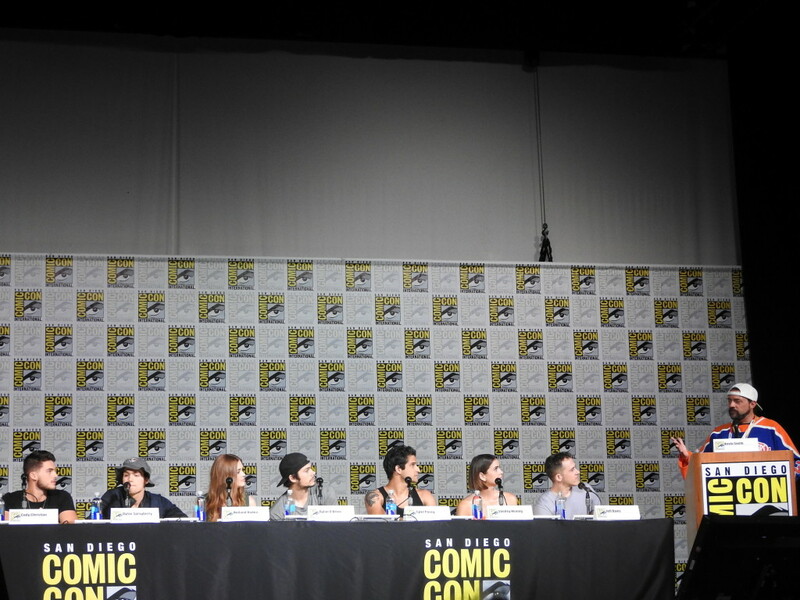 On Thursday, July 9 Kevin Smith (a *huge* fanboy of the show) moderated the panel which included Executive Producer Jeff Davis and cast-members Tyler Posey, Dylan O’Brien, Holland Roden, Shelley Hennig, Dylan Sprayberry, and Cody Christian. Jeff kicked things off with the announcement that Teen Wolf would be back for a sixth season, saying that as long as fans kept watching the show, they’d probably keeping making it. I think my favorite parts of the afternoon were when Jeff teased that in episode #5 (airing tonight) we’ll witness a rift/potential breakup between Scott and Stiles based on something Theo “uses”. Then, of course, Tyler Hoechlin calling into the panel and showing his love to fans was also amazing. Thanks to Flicks and the City, you can enjoy a video of the full panel. Also, we have 50+ exclusive photos to share with you *WOOT* Check them out below and make sure to share what you’re most excited/nervous about in this season!